Welcome to DeBordieu & Hobcaw S.C.U.T.E. S.C.U.T.E. depends on our volunteers! We’re always looking for enthusiastic and dedicated volunteers. If your interested in learning more then click below. We work hard to ensure the safety of threatened loggerhead sea turtles along the South Carolina Coast. Meet some of the S.C.U.T.E. volunteers at DeBordieu & Hobcaw beaches to see what we do. Loggerhead sea turtles (Caretta caretta) nest on South Carolina beaches May through October. S.C.U.T.E., which stands for South Carolina United Turtle Enthusiasts, is one of 31 volunteer sea turtle protection projects along our coastline under the direction of the South Carolina Department of Natural Resources. The 60 mile S.C.U.T.E. area stretches from North Inlet in Georgetown County to North Myrtle Beach in Horry County. DeBordieu and Hobcaw beaches typically account for 40-50% of the nests in this area. Volunteers walk at sunrise during nesting season looking for the large turtle tracks leading from the ocean to the dunes and back. When tracks are found, clues are used to determine the nest area. Using pool cues or T bars, volunteers probe the sand to locate the soft area of the egg chamber. An average nest of 120 ping pong size eggs may need to be moved if the clutch is laid below the spring tide line or in the scarp of a dune. Nests are covered with a plastic mesh, staked to protect it from predators and a sign is posted with the nesting date. At about 50 days of incubation, volunteers begin to look for a depression in the nest indicating hatching activity beneath. When a nest hatches, usually at about 55-60 days, hatchlings make a mad dash to the ocean following the phosphorescence of the waves as long as they are not lead astray by onshore lighting. When a nest hatches, SCDNR requires us to wait 3 nights so as to give all hatchlings a chance to exit the nest. We then conduct a nest inventory and dig out the contents to determine the success of the nest. Inventory date, time and location are posted on the website. At the inventory, a volunteer tells visitors about the procedure and printed information is handed out. The nest contents are dug out and data is recorded. Sometimes live hatchlings are found in the nest that were not able to emerge on their own. Volunteers put the hatchlings on the beach and let them crawl to the ocean and ‘imprint’. At maturity, 25-30 years, female loggerheads will generally return to the beach of their birth to nest. However, recent DNA studies show some turtles will nest many miles from where they hatched. 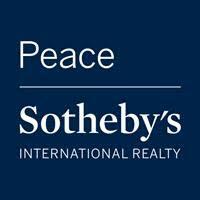 Peace Sotheby’s International Realty kindly sponsors DeBordieu & Hobcaw S.C.U.T.E. Follow us here on the DeBordieu & Hobcaw S.C.U.T.E. website to stay informed with the latest news. You can also find links, references, photos and learn about the SC Aquarium’s Sea Turtle Hospital. the latest news from S.C.U.T.E. We will have our organizational meeting to kick-off the 2019 Loggerhead nesting season on Sunday, April 14. Volunteers and anyone interested in learning more about DeBordieu & Hobcaw SCUTE should meet at the home of Betsy and Bill Brabson, 320 Bonnyneck Dr. at 4:00 p.m. For questions, call Betsy at 843-520-6576.
of Natural Resources. Click below to learn more about DNR along with other affiliates such as the SC Aquarium’s Sea Turtle Hospital. Want to help? You can make a donation through the South Carolina Aquarium’s Sea Turtle Hospital.